Will this be your Will being read when you die? 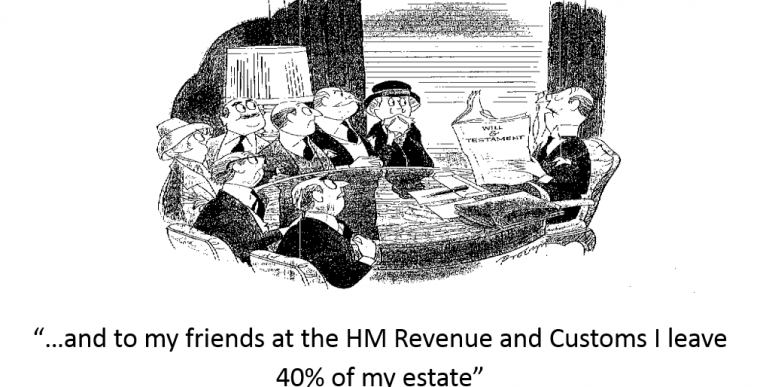 As Benjamin Franklin said, ‘in this world nothing can be said to be certain, except death and taxes’, and inheritance tax touches both of them. We all lead busy lives, so it’s possible most of us have not given IHT planning much of a priority. There may be several practical and personal reasons behind this. Currently the threshold for a single person is £325,000 or £650,000 for married couples and civil partners. However, if you want to make sure you leave as much as possible to your beneficiaries then you will need to plan to provide funds for the IHT tax when due. One of the simplest ways of providing funds for this potential IHT liability is by means of a life policy written in trust for your beneficiaries which will be used to pay the IHT liability when due. But, it’s not just about taking out an insurance policy. Have you considered any of the following? These are just some of the options available. To find out more please contact your adviser. All views are the authors own and do not represent those of SG Financial Services Limited. DISCLAIMER: Any forecasts, figures, opinions or investment techniques and strategies set out, unless otherwise stated, are Vintage Asset Management’s own. They are considered to be accurate at the time of writing, but no warranty of accuracy is given and no liability in respect of any error or omission is accepted. They may be subject to change without reference or notification to you. The views contained herein are not to be taken as an advice or recommendation to buy or sell any investment and the material should not be relied upon as containing sufficient information to support an investment decision. It should be noted that the value of investments and the income from them may fluctuate and investors may not get back the full amount invested.